When an adult is in need of someone to make decisions and manage his affairs, family or friends will need to initiate guardianship or conservatorship proceedings in court. The process involves filing court paperwork, proving incapacity, having a guardian appointed, and answering to the court about how the guardianship is going. DeBruyckere Law Offices can help you throughout this process. Our legal team can also provide assistance with making an advanced incapacity plan so there will be no need for guardianship or conservatorship, even if this worst happens. When is guardianship or conservatorship needed? How do guardianship or conservatorship work? How can a New Hampshire or Massachusetts guardianship lawyer help you? When is Guardianship or Conservatorship Necessary? Guardianship or conservatorship are necessary if there is a situation where a person becomes physically or mentally unable to handle asset management, medical decision making, or conducting routine daily affairs. When a person is sick or hurt, sometimes it is obvious that individual needs a guardian. If a patient suffers a severe stroke and can no longer communicate, this would be an example of a situation where the stroke victim needs a guardian right away. In other situations, the question of whether guardianship is needed can become much more complicated. For example, someone who is mentally ill may insist that he can still make decisions, but may not actually have the cognitive abilities to do so. It is up to the court to make a formal decision on whether guardianship or conservatorship is necessary. The court will assess whether incapacity should result an individual being declared a ward who can no longer make decisions on his own. The court also selects the best person to serve as guardian of the ward- and that person might not be the same individual who initiated guardianship proceedings. When someone suspects that a loved one has become incapacitated, a petition can be filed with the court. A hearing may convene in order for the court to determine if a guardian or conservator must be appointed. The court determines who the appointed guardian should be. The guardian or conservator then has a fiduciary duty to act in the best interests of the ward. The ward’s affairs must be managed appropriately. Assets must be protected and used to meet the needs of the ward. Decisions must be made to preserve and protect the ward’s quality of life. The guardian or conservator will be subject to court oversight. The process of selecting a guardian can be complicated, and it can be burdensome for many families to continue dealing with this continued court oversight on private matters. All of this could be avoided with an advanced incapacity plan in which a power of attorney is used to name an agent to take over decision making in case of incapacity. Advanced directives can also be used to make certain that preferences are expressed in advance regarding medical care. Unfortunately, it will be too late to make a power of attorney or advanced directive by the time incapacity happens, so plans should be made in advance whenever possible. 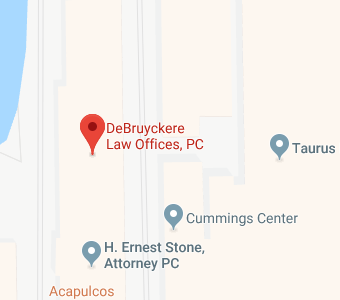 DeBruyckere Law Offices works with clients to make advanced plans so there is no need for loved ones to struggle with guardianship or conservatorship proceedings in a difficult time when important decisions must be made quickly. We also represent families who are face-to-face with difficult decisions after a medical emergency forces them to act to take control of a loved one’s affairs. Our legal team offers compassionate and knowledgeable legal representation to clients with offices in Beverly, North Andover, and Woburn, Massachusetts, as well as Nashua and Londonderry, New Hampshire. If you want to make advanced plans or are worried about a loved one’s abilities to care for himself, give us a call or contact us online for help.